Grey Fox Ridge – A unique 22 acre home development in Cottonwood, Arizona. A unique 22 acre home development in Cottonwood, Arizona. Designed to offer maximum views, while maintaining a comfortable, safe environment. FREE Solar with every install (limited time offer). View our GREEN amenities and see how solar energy can cut your electric bill by nearly 75%! Take a look at homes we have built as well as peruse the various floor plans available. From the Antelope to the Gila, we have floor plans to fit anyone. Generations of experience and professional skill goes into every home to enhance quality and efficiency at an exceptional value. Grey Fox Ridge is a unique 22 acre home development in Cottonwood, Arizona. Located within walking distance of the revitalized Old Town Main Street area, Grey Fox Ridge provides home owners with brilliant panoramic views of the Verde River Valley, Sedona Red Rocks, the Verde River Green Belt, as well as Mingus Mountain and Jerome. 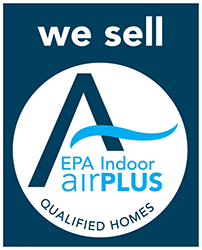 US EPA’s Indoor airPLUS Program Honors C & B Construction with Leader Award 5 Years Running! C & B Custom Homes, Inc (our preferred builder) is the ONLY contractor nationwide to win the EPS’s Indoor airPLUS Leaders award 5x’s running with the most recent award being the 2018 Innovation Award from the US Department of Energy! Come and see us today and view our amazing models. There are a few lots left, so don't miss out! Become a Grey Fox Ridge resident today!